Vaccines save our country millions, even trillions of dollars. Your bracket should have ARIZONA in the championship game. Bear Down. My fellow Arizona Wildcats (BEAR DOWN) and I were at Moda stadium, Portland, this past Saturday, March 21st, to watch the Wildcats take on the Ohio St. Buckeyes. During our epic 2nd half run against the Buckeyes, the FAN CAM centered on me and the reaction was awesome. The audience cheered. The best part of all, aside from our win (WILDCATS – SWEET SIXTEEN BOOM! 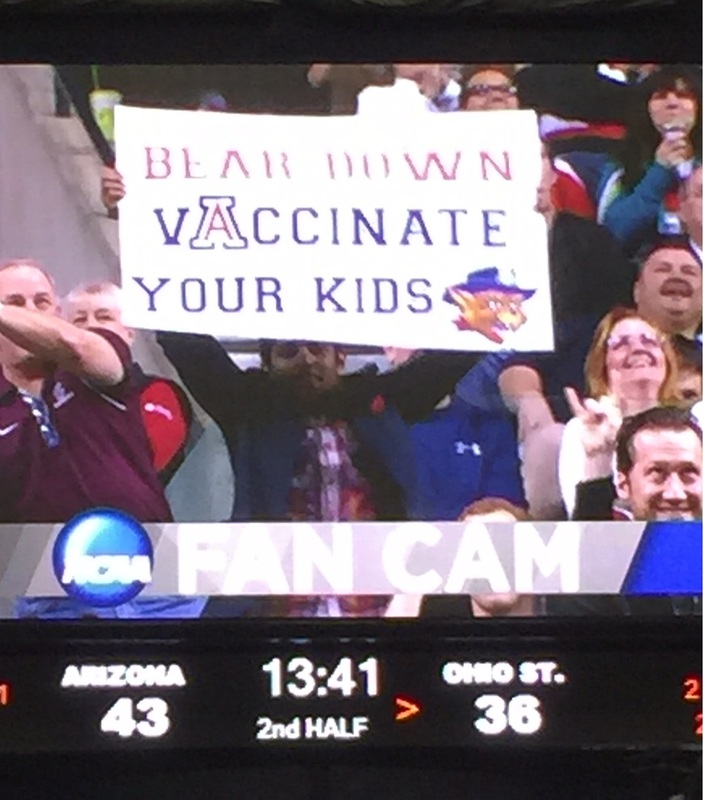 ), I was stopped numerous times for photos and stories – folks wanted to share their pro-vaccine sentiments. 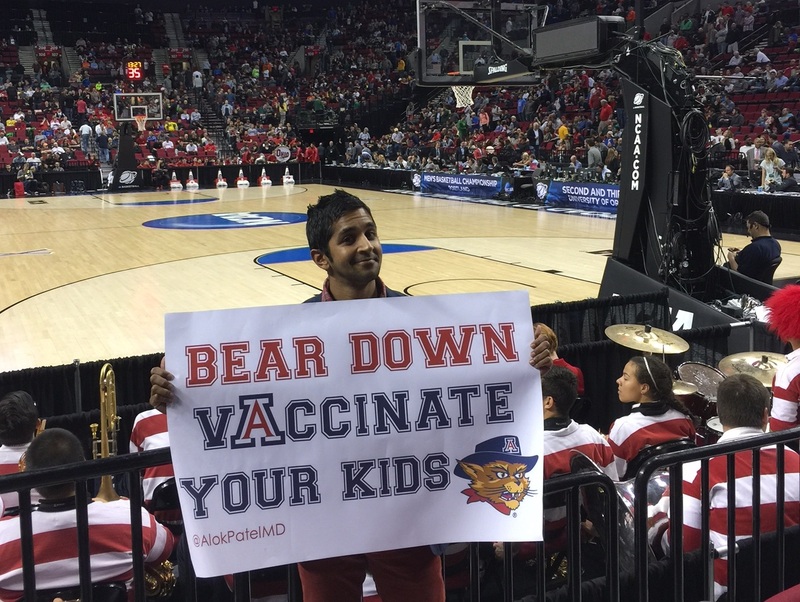 It was inspiring to see the crowd-funded March Madness spectacle spare a minute for public health. Last year, around 740,000 fans attended the 2014 NCAA tournament and 21.2 million tuned in to watch Connecticut snag a title over Kentucky in the finals. Think childhood vaccines can match those stats? In the past 20 years, routine vaccinations are estimated to have saved 732,000 lives and prevented 21 million hospitalizations. Worldwide, around $12 billion will be spent on NCAA March Madness wagers and our economy will see roughly $2 billion in lost productivity. It’s all good, vaccinations have our wallets’ back: Routine childhood vaccinations save us about $13.5 billion in direct medical costs. Tell your employer to relax because vaccines make it rain. Are you one of the 10% of Americans that filled out a bracket this year? The number seems small to me but lets take that 10% over to public health -> In 17 states, the MMR coverage rate is less than 90%. That means more than 10% of parents aren’t giving their children a vital vaccine. Some people are even hosting “measles parties”…a morbid revival of the “chickenpox party”. Fill out a bracket but please avoid these infection-themed gatherings. Are YOU a Gambler?? Wanna be a Billionaire? After all, that’s the fun of making a bracket. (DISCLAIMER: Pediatricians do not encourage juvenile gambling.) But quick detour to vaccinations before we talk brackets. Parents gamble EVERY day by not vaccinating their children. The anti-vaccine crowd spreads fear of side effects – side effects as rare as 1 in 1 million. 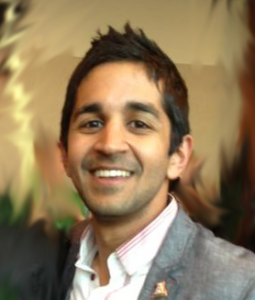 Your child has a higher chance of becoming a billionaire….but a billionaire by means OTHER than March Madness. Cinderella teams bust Brackets every year: For example, Butler had a 7500-to-1 shot of back-to-back championship showings but they did it. But maybe someone’s child aimlessly picked a great bracket. Odds of Timmy making a perfect bracket? About 1 in 9 quintillion. But had he in 2014, he could have won $1 billion in a contest sponsored by Quicken Loans and Berkshire Hathaway. Tickets can be scalped, found on stubhub, won, whatever. Yet, on average, a ticket to both Final Four games and the Championship will run you around $2,200. Would you scream if you saw someone buy those tickets but claimed that health insurance was too expensive? Well rest assured because the cost of vaccinating an uninsured child is ZERO DOLLARS. Thanks to the Vaccine For Children program, via the Centers for Disease Control and Prevention. Nicely done, CDC. NOW – sit back and watch the Arizona Wildcats dominate the rest of the tournament. Maybe you’ll be among the 70,000 visiting Indy for the Final Four. Odds are a huge chunk of those 70,000 will be among the 150 million who got their flu shot in the 2014-2015 viral athletic season. Alright I’ll stop. BEAR DOWN! 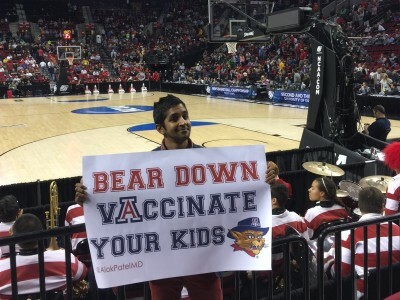 Cost/benefit analysis and looking at stats must underlie any real decision… Whether it’s getting your child an MMR vaccine or betting on an NCAA bracket.